France, after the mass Islamist-terror killings of Friday November 13, 2015, is not the place it was, and might not ever be again. 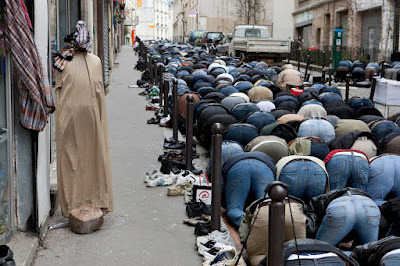 Yesterday (Thursday), almost a year to the minute after the Islamist killings at the Charlie Hebdo offices in Paris (followed a few days later by the murders at the Hypercacher Jewish supermarket), a young man shouting "Allahu akbar!" ("God is greater"), wielding a butcher knife and carrying a document with an Islamic State emblem and what AFP calls "an unequivocal claim of responsibility in Arabic", was shot dead by French police. 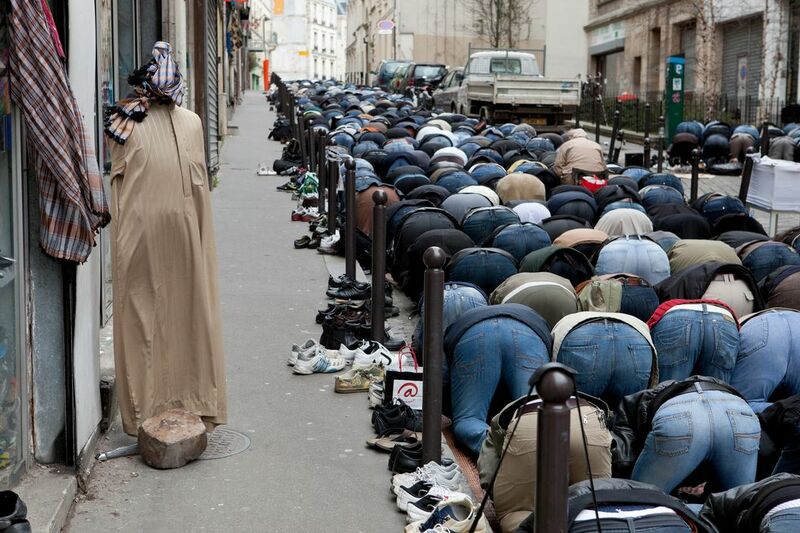 This happened just before noon in the "multi-ethnic" Goutte d'Or neighborhood of nothern Paris. The shouting man was said to be wearing an explosives vest, creating the impression of being a human bomb with some ideology on his mind. But after he had been killed, the vest turned out to be some sort of fake. The butcher knife however was a butcher knife. The assailant has not yet been publicly identified. French security officials are said to be "working on the hypothesis" that he is a 20-year-old Moroccan Arab who took part in a robbery in France's Var region in 2013. Fingerprints are reported to be part of the reason for the connection. That robber identified himself at the time as Ali Sallah of Casablanca. The authorities worked out that whatever his name, he had been in France illegally and was ordered to leave the country after robbery. Did he leave? Is this the same person? No one seems to know. "France condemns the consequences of the raid," he said. "While we are all for Israeli security, France recalls the utmost necessity to avoid civilian harm,"
In Israel, there's wall-to-wall agreement about that necessity. 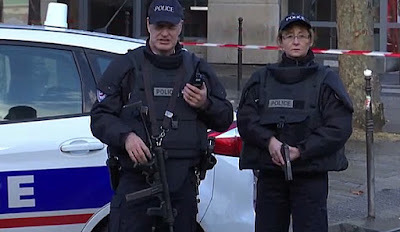 But France's security people and Israel's know there are times when you must act quickly and decisively even when there's a risk, as seems to have happened in Paris yesterday, that the attacker did not actually have a bomb on his body - only a butcher knife.